Listen to "Rights of Man" on your iOS and Android device. Rights of Man presents an impassioned defense of the Enlightenment principles of freedom and equality that Thomas Paine believed would soon sweep the world. He boldly claimed, 'From a small spark, kindled in America, a flame has arisen, not to be extinguished. Without consuming...it winds its progress from nation to nation.' 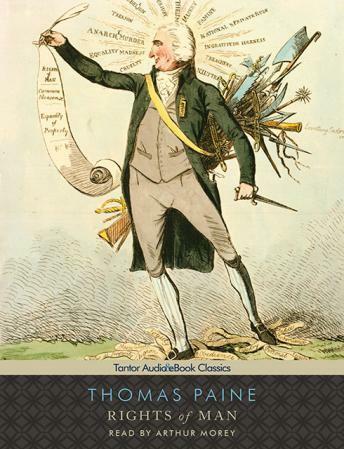 Though many more sophisticated thinkers argued for the same principles and many people died in the attempt to realize them, no one was better able than Paine to articulate them in a way that fired the hopes and dreams of the common man and actually stirred him to revolutionary political action.